"The Sound of Your Heart," a popular web series based on a cartoon, has hit 100 million views in China, the show's Chinese platform showed Friday. The comedy, which premiered simultaneously in South Korea and China on Nov. 7, passed the 100 million mark on the Chinese online portal Sohu and ranks No. 1 among Korean dramas on the site. 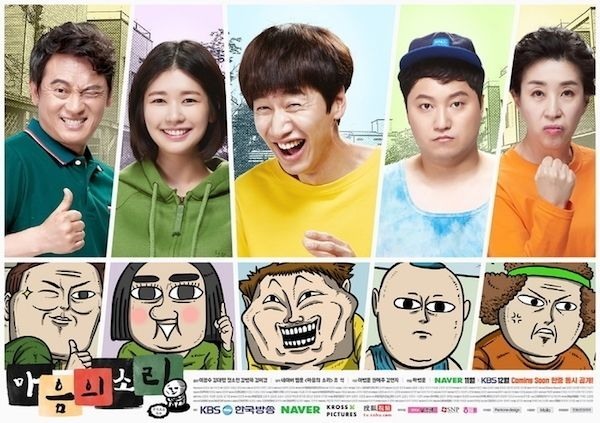 On the South Korean online portal Naver, the show has collected more than 29 million views to become the country's most watched web series of all time. "We're happy that 'The Sound of Your Heart' has received so much love from Chinese netizens during this difficult time," the show's producers said, referring to the Chinese government's apparent ban on Korean cultural content. The government restrictions were imposed earlier this year after South Korea agreed to place an advanced U.S. anti-missile system on its soil despite strong opposition from Beijing. "The Sound of Your Heart" stars Lee Kwang-soo, who is known as "Prince of Asia" among his fans, as an aspiring cartoonist surrounded by an eccentric group of family and friends.